August action: August used to be the dumping ground for films Hollywood didn't expect much of at the boxoffice, but these days it's very valuable sizzling late summer playing time. 2015: "Straight Outta Compton" opening Aug. 14 to $60.2 million and doing $161.2 million domestically. 2014: "Guardians of the Galaxy" opening Aug. 1 to $94.3 million and doing $333.2 million domestically. 2011: "Rise of the Planet of the Apes" opening Aug. 5 to $54.8 million and doing $176.8 million domestically. 2007: "The Bourne Ultimatum" opening Aug. 7 to $69.3 million and doing $227.5 million domestically. 2002: "Signs" opening Aug. 2 to $60.1 million and doing $228 million domestically. 2001: "Rush Hour 2" opening Aug. 3 to $60.2 million and doing $226.2 million domestically. 1999: "The Sixth Sense" opening Aug. 6 to $26.7 million and doing $293.5 million domestically. 1993: "The Fugitive" opening Aug. 6 to $23.8 million and doing $183.9 million domestically. "Fugitive's" success hammered home the fact that August could deliver big boxoffice business. Directed by Andrew Davis ("Under Siege"), it starred Harrison Ford (as the on-the-run Dr. Richard Kimble), Tommy Lee Jones and Sela Ward. It was produced by Arnold Kopelson, who won the best picture Oscar for "Platoon" in 1987 and played a key role in bringing "Fugitive" to the big screen. The film's roots were in the hit television series created by Roy Huggins (an executive producer of the feature film) that aired on ABC from 1963-67 with David Janssen starring as Kimble. In all, 120 51-minute "Fugitive" episodes aired, with the first three seasons in black & white and the fourth season in color. This August is a safe bet to continue the parade of post-"Fugitive" late-summer hits thanks to Warner Bros. and DC Comics' PG-3D fantasy action adventure "Suicide Squad," opening Friday (8/5) at about 4,150 theatres. Hollywood handicappers have been predicting an opening weekend of $140 million or more – and, perhaps, a lot more. That opening weekend would be bigger than the domestic totals for some of August's smaller hits over the years – like "Clear and Present Danger" ($122.2 million in 1994), "S.W.A.T." ($116.9 million in 2003) and "The Other Guys" ($119.2 million in 2010). Directed by David Ayer ("Fury"), "Suicide" stars Will Smith, Jared Leto, Margot Robbie, Joel Kinnaman and Viola Davis. In "Suicide," the government assembles a team of the world's most dangerous incarcerated super villains for a mission with overwhelming odds of failure. It's clear that only a despicable secret group with nothing to lose can possibly get the job done. But the big question is -- When they catch on, will they die trying or decide it's every man for himself? Demographically, "Suicide" is expected to play well to all four marketing quadrants. It's being likened to 20th Century Fox and Marvel Entertainment's R rated action adventure superhero satire "Deadpool," which opened Feb. 12 to $132.4 million. "Deadpool" grossed $363.1 million domestically, making it the year's third biggest hit. Not surprisingly, all the other major distributors thought it would be suicidal to open against "Suicide." This weekend will, however, see a relatively wide opening for indie distributor EuropaCorp. 's PG rated family comedy "Nine Lives," directed by Barry Sonnenfeld (the "Men in Black" trilogy) and starring Jennifer Garner, Kevin Spacey and Robbie Amell. "Nine's" storyline has Spacey become trapped within the body of a tomcat called Mr. Fuzzypants, who Spacey's ultra-busy billionaire businessman character has just bought to be a last minute gift for his daughter's eleventh birthday. AUG. 12-14: Disney's PG rated 3D family fantasy adventure "Pete's Dragon," from David Lowery ("St. Nick"), is a reimagining of the studio's 1977 family classic. In "Dragon," a mysterious 10 year old orphan, Pete (Oakes Fegley), claims he lives in the woods with Elliott, a giant, green dragon. 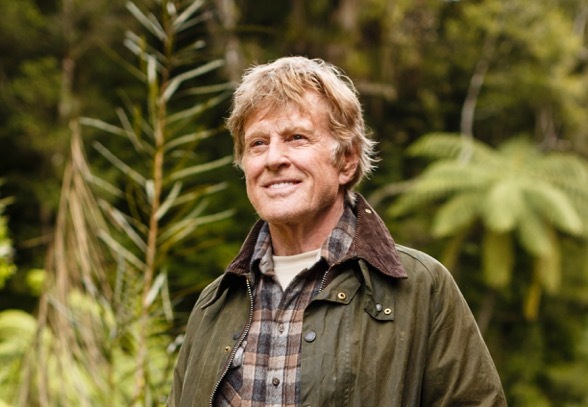 Bryce Dallas Howard plays Grace, a park ranger who discovers the dragon's existence, and Robert Redford is Grace's father, a wood carver who's told stories for years about a fierce dragon living deep in the woods. Yes, Elliott seems remarkably similar to that dragon. Columbia and Annapurna Pictures' R rated animated comedy "Sausage Party" is targeted to adults not families. Directed by Greg Tiernan (the "Thomas & Friends" video franchise) & Conrad Vernon ("Shrek 2" co-director), it stars the voices of Seth Rogen, Kristen Wiig and Jonah Hill. Its story revolves around an animated sausage's mission to learn the truth about his existence. Paramount and BBC Films' PG-13 rated biographical comedy drama "Florence Foster Jenkins" is directed by two-time Oscar nominee Stephen Frears ("The Queen," "The Grifters") and stars Rebecca Ferguson, Meryl Streep and Simon Helberg. It should play best to adult women. It's the story of a New York heiress, Jenkins (Streep), who was passionate about becoming an opera singer even though she didn't sing very well. AUG. 19-21: Paramount and MGM's PG-13 rated 3D historical adventure drama "Ben-Hur" is from "Night Watch" director Timur Bekmambetov. Starring are: Jack Huston, Nazanin Boniadi and Ayelet Zurer. It should play best to an adult faith based audience. Huston plays Judah Ben-Hur, a falsely accused Jewish prince betrayed by his onetime Roman best friend Messala (Toby Kebbell). 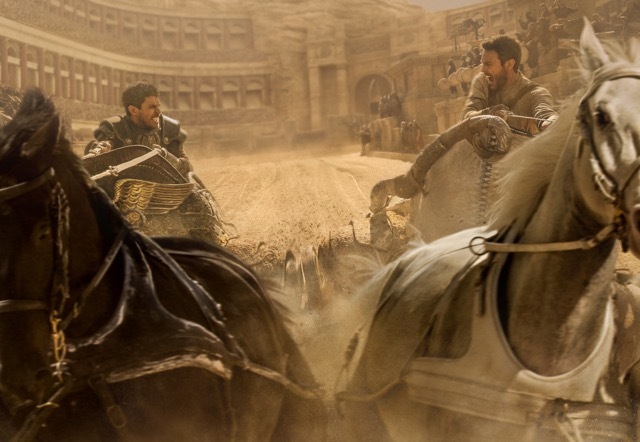 After surviving years of slavery, Ben-Hur fights his way to freedom and vengeance. "Ben-Hur's" long history is entwined with a great many legendary Hollywood names. This is the latest movie version of the classic novel by Lew Wallace published in 1880. The book was turned into a hit stage play that had an amazing 25 year run, which ended in 1920. Two years later, the movie rights were sold to Goldwyn Pictures Corporation. The best known version of "Ben-Hur," directed by William Wyler ("Roman Holiday") and starring Charlton Heston as Ben-Hur and Stephen Boyd as Messala, opened Nov. 18, 1959. It grossed $74.7 million domestically, which was a big number at the time. The film ran just over three and a half hours and reportedly was made for what was then a sizable budget of $15 million. The original "Ben-Hur" was a 1907 short silent film entitled "Ben-Hur: A Tale of the Christ" that was made by the pioneer Kalem Company and starred Herman Rottger and William S. Hart, Hollywood's original movie cowboy. It was directed by Harry T. Morey, Sidney Olcott and Frank Rose. The film that people generally think of as being the "original" version of "Ben-Hur" was also entitled "Ben-Hur: A Tale of the Christ" and was a very troubled production that filmed from 1923-25. It starred Ramon Novarro as Ben-Hur and Francis X. Bushman as Messala. Its director, Fred Niblo, had directed the classic 1922 romantic drama "Blood and Sand," which starred Rudolph Valentino. One of this "Ben-Hur's" more than 60 assistant directors working on shooting its chariot race set piece was the young William Wyler, who subsequently directed the 1959 remake. "Ben-Hur" had already been in production in Italy for Goldwyn Pictures for about two years when Goldwyn merged April 10, 1924 with theatre owner Marcus Loew's then struggling Metro Pictures. At that point, Goldwyn Pictures did not include producer Samuel L. Goldwyn, who as Samuel Goldfish had co-founded the company in 1916 with Broadway producers Edgar and Archchibald Selwyn. They invented "Goldwyn" as an amalgam of their names. A popular Hollywood joke at the time was that the only other possible combination of their names would have been Selfish Pictures. In December 1918, Goldfish legally changed his name to Goldwyn because it sounded much classier than Goldfish – the Americanized version of his even more challenging original Polish name Gelbfisz -- and because in the course of doing business people sometimes insisted on dealing with the non-existent "Mr. Goldwyn" rather than with the very real Mr. Goldfish. At the time of the merger, Loew also brought in independent producer Louis B. Mayer and his very young production chief Irving G. Thalberg to head the brand new studio (originally known as Metro-Goldwyn and later as Metro-Goldwyn-Mayer or MGM). Production costs in Italy were soaring and by then the picture was in danger of collapsing. Thalberg saved the day by immediately shutting down the set in Italy and relocating production to the studio in April 1925. That meant taking on additional costs that included building new sets. Goldwyn's large well equipped lot in Culver City, Calif. was one of the company's key assets in its merger with Metro. Another big Goldwyn asset was its "Leo the Lion" logo, which was created in its original form in 1917 by Howard Dietz, Goldwyn's legendary head of publicity and advertising and also a highly successful songwriter ("Dancing in the Dark" and "That's Entertainment" are two of the best known songs for which he wrote the music). Leo the Lion and the accompanying Latin slogan "Ars Gratia Artis" became the merged studio's logo, which is now one of the world's most famous trademarks. The Goldwyn lot had originated in 1915 as the home of Triangle Pictures, whose three movie pioneer partners were Thomas Ince, D.W. Griffith and Mack Sennett. Ince subsequently departed and built his own studio nearby in Culver City. Its numerous owners over the years, included David O. Selznick, who filmed "Gone With the Wind" on its back lot. In 1918 Goldwyn purchased Triangle's studio property. That lot evolved over the years into the sprawling MGM studio that came to include several huge back lots that ultimately became real estate developments. The original studio is today the home of Sony Pictures Entertainment and its Columbia Pictures studio. By shooting the very troubled "Ben-Hur" in Culver City rather than in Italy, Thalberg was able to supervise it personally (along with all of MGM's other productions at the time) and control its production. Production genius that he was acknowledged to be, Thalberg managed to save the day for the fledgling MGM. "Ben-Hur" cost an estimated $3.9 million and is believed to have been the silent era's most expensive film. It grossed about $9.5 million in the U.S. after its 1925 premiere, reportedly winding up about $700,000 in the red for MGM. But that was a lot better than what had been a likely loss of millions of dollars. A reissue in 1931 grossed about $3 million more, which finally put the picture into profit. Hollywood is turning the weekend of Aug. 19-21 into a crowded boxoffice race with three other wide releases competing with the new "Ben-Hur." Warner Bros.' R rated comedy drama "War Dogs" is from Todd Phillips, director of "The Hangover" trilogy, and stars Jonah Hill, Miles Teller and Bradley Cooper. It should play best to younger males. Hill and Teller play friends who during the Iraq War exploit a little-known government initiative allowing small businesses to bid on U.S. military contracts. Starting small, they start raking in big money. But they get in over their heads when they land a $300 million deal to arm the Afghan Military. Focus Features and Laika Entertainment's PG rated 3D animated family adventure "Kubo and the Two Strings" is from first time feature director Travis Knight, who was the lead animator on "The Boxtrolls" and "Coraline." Its voice talents include: Charlize Theron, Art Parkinson and Ralph Fiennes. Kubo (Parkinson), a young boy, is living quietly in a small seaside town when his life is unexpectedly interrupted by a spirit from the past who's returned with an ancient vendetta. Lionsgate and Sidney Kimmel Entertainment's R rated crime drama "Hell or High Water" is from David Mackensie ("Asylum") and stars Chris Pine, Ben Foster and Katy Mixon. It should play best to adult men. It's the story of an honest divorced dad (Pine) who hatches a last ditch effort with his hot-headed and dangerous ex-con brother (Foster) to try to hold on to their West Texas farm – by robbing branches of the bank that's foreclosing on their home. AUG. 26-28: Screen Gems, Stage 6 Films and Ghost House Pictures' R rated horror thriller "Don't Breathe" is from Fede Alvarez ("Evil Dead") and stars Jane Levy, Stephen Lang and Dylan Minnette. It should play best to young women, who are typically the core audience for horror films. Three reckless thieves break into the home of a wealthy blind man, thinking they'll get away with the perfect heist. But they're wrong -- very wrong. The Weinstein Company's R rated biographical action drama "Hands of Stone" is from Jonathan Jakubowicz ("Ships of Hope") and stars Ellen Barkin, Robert De Niro and Ana de Armas. It should play best to adult men. Edgar Ramírez plays Roberto Duran, who made his professional boxing debut in 1968 at the age of 16 and retired in 2002 when he was 50. Duran defeated Sugar Ray Leonard in June 1980 to capture the WBC welterweight title, but stunned the world of boxing when during their November rematch he went to his corner and declared, "No mas" ("No more"). Lionsgate, Summit Entertainment and Millennium Films' R rated action crime thriller "Mechanic: Resurrection" is from Dennis Gansel ("The Fourth State") and stars Jason Statham, Jessica Alba and Tommy Lee Jones. It should play best to adult men. It's the sequel to "The Mechanic," which opened Jan. 28, 2011 to $11.4 million and grossed $29.1 million domestically. Statham returns as Arthur Bishop, the world's most dangerous hitman, whose murderous past was behind him until his worst enemy kidnaps the woman he loves. Now Bishop's forced to carry out three impossible assassinations -- and make them look like accidents. Bottom line: August will also get a boxoffice boost from Universal's "Jason Bourne," which just ended July with a chart-topping $60 million. This fifth episode in the "Bourne" franchise, which reteams director Paul Greengrass ("The Bourne Ultimatum," "The Bourne Supremacy") and Matt Damon for the fourth time, should help keep multiplexes busy here and around the world in the coming weeks. "Jason" also opened in 46 international markets last weekend where, according to comScore, it grossed about $50.1 million, "making it the No. 1 film at the international box office and the biggest international opening weekend of all the Bourne films." Its global cume is now about $110.1 million and the franchise's worldwide total has now passed the $1 billion mark. "Jason's" also helping Hollywood's year-to-date comparisons. The domestic boxoffice through last weekend, per comScore, was $6.96 billion, up 3 percent from $6.75 billion this time last year.